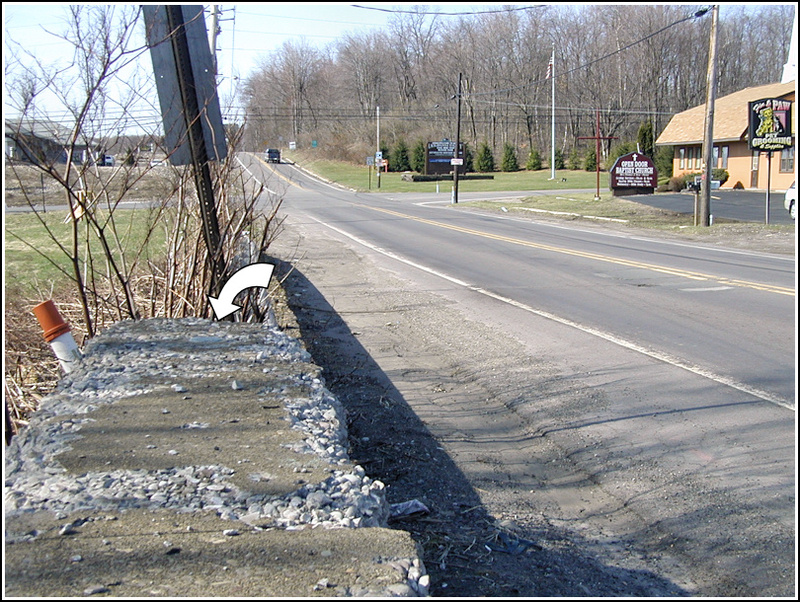 Scranton; at city line on S. Keyser Avenue; 240 ft N. of T-rd. 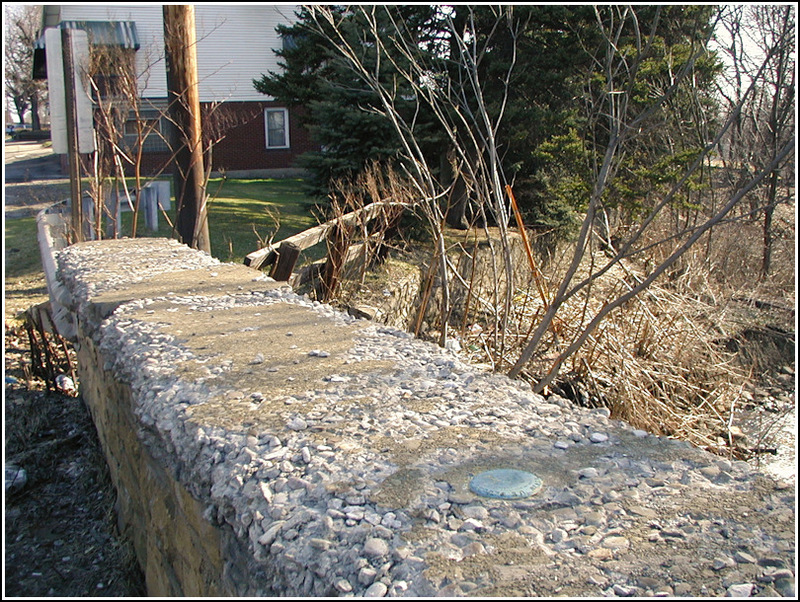 W. to Milwaukee; on E. headwall of small masonry bridge over creek; standard tablet stamped "29 JPN 1942 836". Elev. 836.487 ft.
We found this mark on our way home from a messy encounter with Skipsp's geocache A View of the Park at nearby McDade Park. The lot of the Open Door Baptist Church on Keyser Avenue was a convenient spot to park as it's just south of the bridge. We could see the mark from across the street. The mark is in good condition and seems solid in its setting, though the concrete layer atop the masonry headwall is deteriorating. The stamping is clear and the disk appears almost untouched—unusual for a mark in such an exposed, public location. 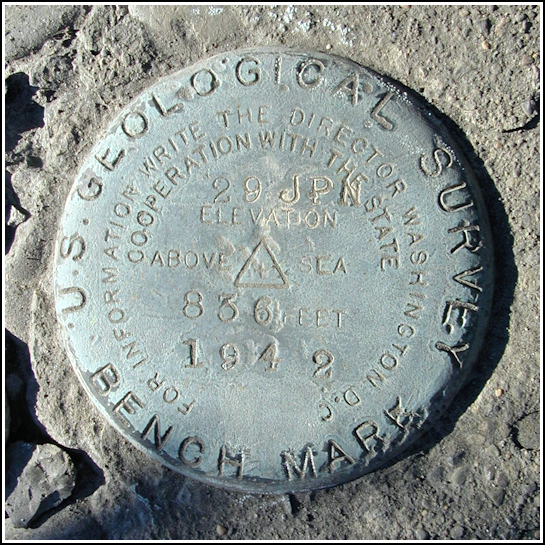 The mark is set on top of the crumbling east headwall, toward the south end. The mark itself is secure for now. Looking south along Keyser Avenue, toward the intersection with the road to Milwaukee.